Despite Supreme Court rulings calling for reconsideration, hundreds of inmates in Florida who were juveniles when they committed crimes are currently waiting for their day in court (arguably in violation of their civil rights). Two Supreme Court rulings previously established that it is unconstitutional to impose mandatory life sentences without a chance for parole for juveniles convicted of homicide because it results in cruel and unusual punishment, and courts need to recognize that juveniles have a potential for rehabilitation due to incomplete brain development at the time they commit their crimes. Nineteen states and the District of Columbia have already banned life sentences without the possibility of parole for juveniles, and in some other states, no juvenile is serving such a sentence. In 2012, the U.S. Supreme Court ruled that states and the federal government are required to consider the individual circumstances in each juvenile defendant’s case. In its 2016 decision, it applied the decision retroactively; declaring that all mandatory life sentences without the possibility of parole for juveniles are inherently unconstitutional. In addition, a Florida state law passed required that all relevant terms be automatically reviewed by a circuit court judge after 15 to 25 years had been served, depending upon the crime. For example, a juvenile convicted of participating in a homicide but who did not actually kill someone would likely get a review after 15 years, while one who did commit murder would receive a review after 25 years. The Florida Supreme Court then ruled that any juvenile serving life receive a new look, including those in prison before the law was changed. 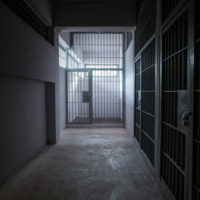 However, only approximately 85 of those inmates have been resentenced due to a lack of funding and logistical issues (such as state courts being able to figure out which sentences do and do not comply with the rulings), and about 80 others imprisoned for life in non-homicide case have also received new terms, as prompted by the U.S. Supreme Court ruling. That leaves many, many individuals lingering in prison awaiting their day to have their sentence reviewed. Advocates now estimate that there are approximately 600 inmates serving life in Florida prisons for murders committed as juveniles who are eligible for a new sentence. However, Florida no longer has parole, which makes addressing these types of cases even more complicated. If you were sentenced to serve life in a Florida prison as a juvenile, you deserve to have your sentence reviewed. Working with an experienced criminal defense and civil rights attorney can help ensure that your rights are protected in this process. At the Baez Law Firm, we can help. We protect and serve clients throughout Orlando, Miami, and surrounding areas, providing a focus in criminal defense, civil litigation, and civil rights. Contact us today at 800-588-BAEZ or online for a free consultation.